Conductor Henry J. Sgrecci is now in his twelfth season with the WMYO, having arrived as a wind coach in 2002. 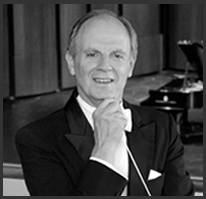 Dr. Sgrecci has led the WMYO in performances of Scheherazade, Capriccio Espagnol, Capriccio Italien, Dvorak’s Symphony of the New World, and in its 2007 Veterans Day tribute with the Northern Virginia Community College Choruses at Rachel Schlesinger Concert Hall. As Orchestra Director at T.C Williams High School, Dr. Sgrecci was honored as Outstanding Educator at the 2007 Virginia Governor’s School. His interest in educational endeavors led him to create a young audience concert based upon the Dr. Seuss tale, Gerald McBoing Boing. Dr. Sgrecci has performed on his trumpet throughout the world. As Principal Bugler of The United States Army Band, “Pershing’s Own,” he performed Taps in the presence of Margaret Thatcher, Boris Yeltsin and President George Bush at the Tomb of the Unknowns in Arlington National Cemetery, performed before Princess Diana at Wembley Arena in London, and was profiled on ABC’s World News Tonight. In 1988 he toured behind the Iron Curtain with the Washington Bach Consort, performing in the Neue Gewandhaus Concert Hall in Leipzig, East Germany in honor of J.S. Bach’s tercentennial celebration. He toured throughout the U.S. with The Army Brass Band, conducting the unique British-style band in the Gala performance of the 2001 North American Brass Band Championships. A native of Watkins Glen, NY, Dr. Sgrecci graduated from Ithaca College and was awarded the Doctorate of Musical Arts in conducting from the Catholic University of America. He has attended the Aspen Music Festival, and has studied with Herbert Mueller, Adel Sanchez, Gerard Schwarz and William Vacchiano. Also included as his mentors are Robert Garofalo, Gustav Meier, and Anthony Maiello. Dr. Sgrecci has led performances by members of The United States Army Band and Orchestra, The McLean Orchestra, The Catholic University Wind Ensemble, the Bells of Blessed Sacrament Catholic Church and the Blessed Sacrament Festival Orchestra and Choir. He is presently Director of Music at Cedar Lane Unitarian Universalist Church in Bethesda, MD.